1BR in Great Location near City Park & Zoo (denver, Co city park neighborhood) from $75/night. * Walk to Vine Street Pub & Brewery & St Mark’s Coffee House. * About a block (176 yards) to City Park, next to the Denver Zoo. * Walk Score of 75, and a Bike Score of 98. * Next to the largest park in Denver, 317 acres! * Managed by Book Urban, 24/7 service/keyless entry. 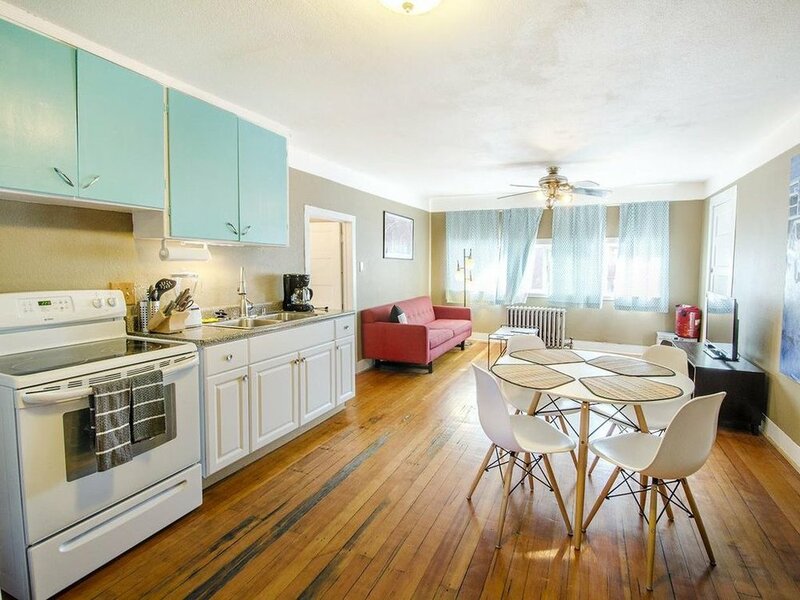 This budget-friendly 1 bedroom is in a historic home built in 1908. You'll be located less than 2 miles from the heart of Denver! This 3rd floor 1 bedroom is only accessible by stairs as there is no elevator on site. It is furnished with a queen bed, a spare air mattress, and can comfortably sleep 4. Street parking is available. Enjoy the convenience of being walking distance from many restaurants, bars, and area attractions. This property is a great way to enjoy the sights of Denver on a budget! Visit the many neighborhood restaurants. Situated about 2 miles away from Downtown Denver and attractions! Browse the exhibits at Denver Museum and Nature Lovers can enjoy days in the sunshine on nature trails. Traveling with children? No problem! We are family friendly. Experience the best that Denver has to offer in this historic apartment!